Low serial AB400062 . First of Signature : Mitchell. 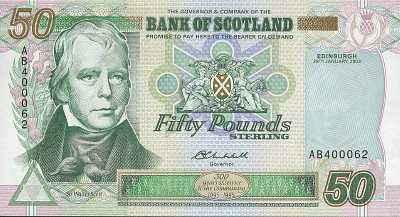 Sir Walter Scott at left. Arms flanked by two seated women at centre. 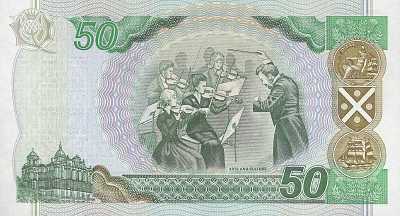 Music director and violinists . BNYB SC161c.